Story line: Malcom Crowe is a famous child psychologist but he also has uncured patience. One night he was visited by an unhappy ex-patient and even got shocked. This ex-patient killed himself also. This incident left great psychological shadow on Crowe until he met a boy Cole, who have similar symptom as his ex-patient. Cole is not easy to get close to, but Crowes spends a lot of time with the boy and wins his trust and known Cole’s secret. Cole has supernatural the sixth sense and can see dead people. Though it’s unbelievable to normal people, but Malcom confirms this truth and helps Cole to accept and overcome it. However, when the problem is nearly solved, Malcom finds a more shocking secret under guidance of Cole. 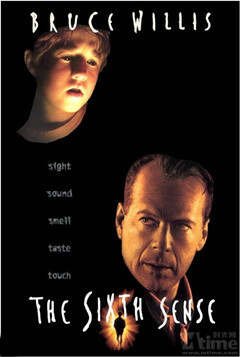 The sixth sense is one of four horror movies which win the nominee of Oscar. Brief and ambiguity dialogue, ingenious and exquisite episode design, touching daily moments and unexpected ending makes the Sixth Sense a great classic among horror movies. With Any DVD Cloner，you can easily backup and preserve this classic DVD movie. It only takes 3 steps to clone The Sixth Sense DVD to blank DVD disc with Any DVD Cloner. Source DVD drive: if you want to clone The Sixth Sense to a blank DVD disc with only one DVD burner, select the same as the "Input Device".